super cool stone tablet about the size of a mobile phone! 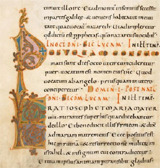 illuminated manuscripts are just wicked cool. Deal with it. Movable type, doomed to failure for sure. 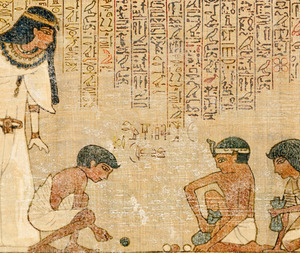 The Plastic Logic reader - the next super-cool stone tablet? The next stone tablet, for sure. Papyrus? What the heck were they thinking? At the certain risk of over-extending my welcome with the publishing for profit theme, I want to report with a certain sense of excitement mixed with an undercurrent of frustration that the Kindle DX E-Reader (to be released this summer) has been announced just 3 months after the Kindle 2 arrived at market. 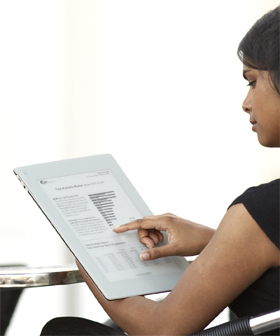 The DX E-Reader is 10.4" x 7.2" x 0.38", with a display size of 9.7" high. That's 250% bigger than the Kindle 2 device. Sticker shock: $489 a pop as opposed to the Kindle 2 at $349 (same price as the original Kindle). Aren't electronics supposed to get cheaper every year? 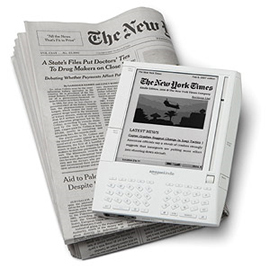 "We knew for more than a decade that one day an e-reader would be a significant platform for distribution for our content," is what Arthur Sulzberger Jr (chairman of the New York Times) said at the release party of the DX E-Reader in NYC last Wednesday. "The Kindle DX is an important milestone in the convergence between digital and print," so said Sulzberger, "It significantly enhances our ability to reach millions of readers." The New York Times, The Boston Globe and The Washington Post, will apparently act as resellers for the device, offering a reduced price on the Kindle DX in exchange for a long-term subscription as long as you don't live where their paper editions are available (which seems to imply that nobody will actually get this deal unless they live at some remote outpost on the frozen tundra). As with most things Kindle, specifics were in short supply. Amazon never reveals how many Kindles have been sold. You get precious little hard data from the publishers either, except to hear chest-thumping sound-bites like "sales of E-Books are up 400% since last year!!! ", which translates into: maybe they sold ten ebooks last year and fourty ebooks this year. Why all the secrecy surrounding Kindle sales and E-Reader sales in general? After rumaging around through the available data, I think I may have at least part of the answer. The facts are that the Kindle and other E-Readers remain elite products and are in no way promoted as mass market consumer items - partly because of their steep price, which may in fact be largely intentional. The bottom line for right now is that printed books make 5 to 10% higher margins than their digital counterparts, so a cheap E-Reader on the market may in fact be currently viewed as too disruptive. Jeffrey Lindsay, of Sanford C. Bernstein says "They (Amazon) don't want to antagonize the book publishers and they don't want to cannibalize their own book sales". What this means is that Amazon can't risk lowering the price on the Kindle, simply because it might take an unhealthy chunk out of their current profit margin in books made of good ol' paper. In spite of the bizarre economic forces at work the rumor mill seems unanimous at this point that Apple is poised to launch a tablet next year. Back in March, Rueters reported that Apple had ordered ten inch touch screens from Wintex, which is the same company that currently makes the screens for iphones. Apple arrived late to the game with both the ipod and the iphone but have created enormous success stories with both. There's no reason to doubt they can do the same with a tablet capable of delivering books as well as other rich media, but don't expect it to be cheap. The upside is that at least Apple doesn't sell books made of paper and doesn't need to concern itself with profit margins from that revenue stream. The implication of the Apple rumor is that they seem to be betting on their existing touch screen technology as opposed to the Kindle, Sony and upcoming PaperLogic solutions which all rely on E-Paper. The touch screen we're all familar with has the advantage of color and speed, but the readability isn't nearly as sharp as E-Paper, which is currently limited to black and white. Recent advances at the Novel Devices Laboratory at the University of Cincinnati have proven that color is coming to E-Paper soon. GammaDynamics is the commercial arm of that project, and it's pretty cool stuff. Another strong contender in the display race might be Pixel Qi which was started up by Mary Lou Jepsen. The Pixel Qi (pronounced Pixel Chee) solution is multi-purpose with a full-color LCD mode, a low-power reflective e-paper mode and a low-power basic color transflective mode. Another contender for hearts and minds of display might be Philips. For years, Philips has been promising color e-papers and so far, none of them have arrived. Last week, they did it again with an entirely different approach to the problem that looks just a bit more promising than all their other promises. 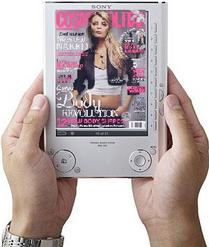 Hearst Publishing has been a long-time investor in E-Paper tech. Perhaps, maybe, who knows yet if their own E-Reader (under tight wraps and a shroud of inscrutable mystery for over a year now) can emerge as a true contender, or Hearst is just another paper profiteer that will release a device no one wants to pay for. CNN Money (Fortune) reported in February that Kenneth Bronfin, head of Hearst Interactive insists that "these devices will be a big part of our future". I honestly hope so. I also seriously doubt it. I'm one of those people who just take it for granted that we'll read everything one day on some sort of electronic tablet. It's not a matter of "if it will happen", it's just a matter of "how it will happen". Jeffrey Di Leo, editor and publisher of the American Book Review may have summed up the current state of affairs best when he recently said we're "caught between our digital destiny and our printed purgatory". We've all read a lot of hang-wringing editorials about the demise of print and been equally subjected to the same lament about editorial content on the internet as well. Everyone seems to agree on one dreary fact: Editorial content can't make money in an information-rich world where everything is free for the Googling. A recent article in Time Magazine by Josh Quittner has been on my mind a lot lately. The article, The Race For a Better Read does a few things which are remarkable and right out in the open: Begging, confessing the obvious in public, and finally, offering an actual solution that I can relate to. First off, it's an article that starts out asking for a dime (in the online version). I think this is funny, but only in a sad sort of way. Secondly, Quittner goes on to confess the obvious: Online editorial content isn't making any money for the owners. In an odd new world where the print side of journalism can't rub two nickles together and their online counterpart doesn't deliver the cabbage either, Quittner asks a timely question: What's next? Quittner suggests the way forward starting with Kindle and Beyond (his article published before the release of Kindle 2.0, pictured left). Kindle from Amazon, for those who have been living in refugee camps or inside the Washington beltway for the last couple of years is a hand-held book interface, an information retrieval device with a very simple proposition. That being, I will store your library of books, show them to you any time and also buy them for you as well. The concept is not much different from iTunes relationship to the iPod. It's an application in your hand, capable of delivering the content people want for a price people are willing to pay. 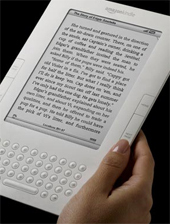 The beauty of Kindle, much like the iPod, is that you do not have to be connected to the information grid to enjoy the content you have purchased. You can enjoy it anywhere - trains, planes, automobiles, sofa or bed, it's all yours anywhere you go. Kindle is a huge success story in the making. It proves that people are willing to pay for digital content ($10 per book right now) if the process of obtaining and paying for that content is easy to understand. Capitalism being what it is, success stories get noticed quick. Sony decided it wanted to play by introducing it's own book reader, which by most accounts isn't as friendly as the Kindle but at least proves the point that there's a rapidly emerging market for pay-as-you-go digital content. Enter Plastic Logic, due to be released in 2010 (hopefully with a better logo and an actual brand name people can take ownership in). It's much larger than the Kindle, measuring in at 8.5 x 11 inches, compared to Kindle's 8 x 5.3 inches. As with any innovation that proves itself, we're going to see cheaper and more powerful eBooks arriving sooner rather than later. Yes they will have color and yes they may even feel more like paper. Adobe Air is finally coming into it's own as well and may point the way to the real future for handheld applications that deliver content that's easy to pay for and worth the price. I downloaded The Time 100 Air Application (lots of our favorite Drawgers included in it, BTW) and really enjoyed it. I can easily see a day when Time could ask my handheld eBook if I want to store their next 20 issues for a buck fifty. My index finger would point to yes and I think a lot of other index fingers will do the same. Where I think Quittner stumbles is when he imagines a world where a news article is worth a dime - or a world in which anyone will be willing to pay for one article at a time. This is the same idea that Quittner originally bounced back in 1995 in his Way New Journalism article for HotWired. That didn't happen and it's not going to happen. What's going to happen is what's happening right now with the proven model of the Kindle. People will gladly pay for rich content that they can take anywhere, but are they going to pay for it one page at a time? Not now, not never. I'm also surprised that Quittner failed to mention the minor success stories that newspapers are already beginning to realize in delivering paid digital content. 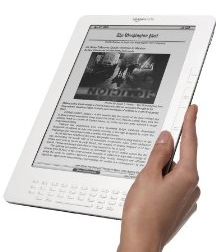 The International Journal of Newspaper Technology reports that the largest selling newspaper on Kindle is USA Today. The price that people are willing to pay? $12 a month! The second most popular newspaper at Kindle is The New York Times at $12.99 a month. The number of actual subscribers are stored in a secret vault, but no matter what those numbers are - they are real subscribers, happily willing to pay for editorial content that doesn't leave ink on their fingers. Will those number grow and grow? You bethca. David Kaplan, reporting at PaidContent.org from the American Society of Magazine Editors Awards yesterday writes that the editors he spoke with all "seemed to feel a need to mention the 'dignity of print' and that even in the digital age 'print has value'.” I think everyone can agree with that. Print will never disappear. The reality is there are compelling alternatives arriving that have the real potential to be more profitable than our old pal, paper.